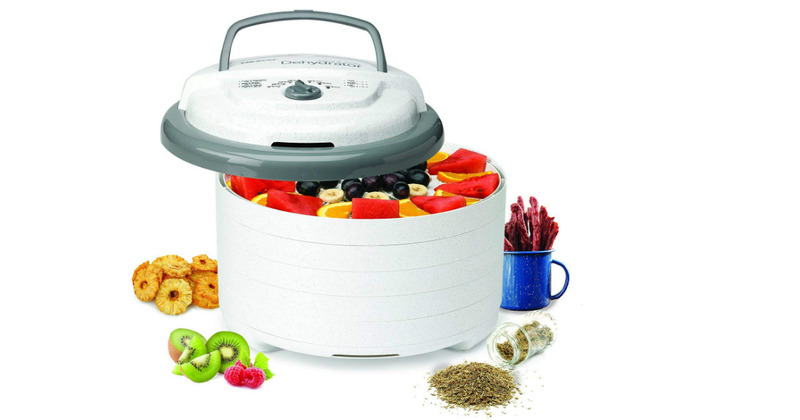 This highly-rated Nesco Snackmaster Pro Food Dehydrator is on sale for just $58.70 shipped on Amazon, regularly $88.99. This dehydrator has an adjustable thermostat that allows you to dry different foods at proper temperatures. It comes with 5 trays, but is expandable to 12 trays.